How do I block Messages from Somebody on Facebook? The above procedure applies for iPhone, iPad, and Android App. You can also block messages from people on Facebook Messenger. 1. Open a conversation with the person you want to block. 2. Tap their name at the top of the conversation. 3. Scroll down and tap Block. 4. Tap next to Block Messages. 1. Open the conversation with the person you want to block. 2. Tap the circular icon with an i-symbol at the middle, scroll down, and then tap Block. 3. Tap Block all messages. 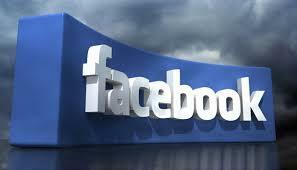 - How Can I Check Facebook Fan Application Use? - How Can I Form A Private Group Within A Business Page On Facebook? - How Can I Measure Facebook Fan Traffic? - How Do I Change My Name On Facebook? - How Can I Find Out If Someone Else Has Secretly Logged In To My Facebook Account?